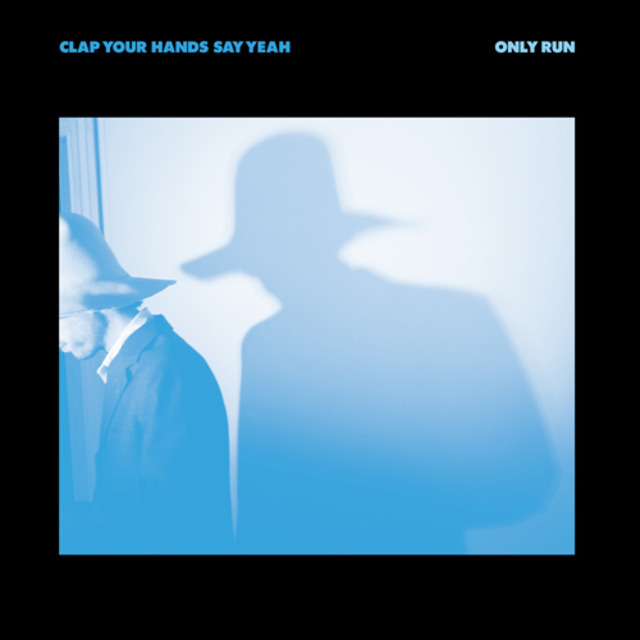 Only Run is Clap Your Hands Say Yeah’s fourth album, however with only two members remaining, this album was always going to raise questions on whether they would be able to maintain a sound that, let’s be honest had already somewhat gone astray most noticeably on their last album,Hysterical. Clap Your Hands Say Yeah have experienced some rocky times over the last couple of years with 60% of the band leaving, following two albums that just didn’t have the same nostalgic dance/rock sound as their highly successful self-titled debut album. It wouldn’t be a far off guess to think this may be a reason why the band has dwindled in numbers in recent times. Nonetheless, almost ten years after the release of their debut album, band leader Alec Ounsworthcontinues to believe and fights for the band, trying once again with their fourth record Only Run. Only Run is essentially Ounsworth’s solo project and his new found freedom can be heard on the album. “We Will Be Alright” immediately introduces us to the atmospheric nature of this album with it’s dense synth and floating vocals. There is a lot of space on this album where instruments and vocals float and wallow about creating pretty melodies. The first single off the album, “Coming Down”, is my personal favourite with its hard hitting drumbeat, heavy guitar and Kid A rifts, however this song is far from your usual Clap Your Hands Say Yeah sound. It’s a combination of Radiohead and The National, with The National’s Matt Berninger’slending his deep vocals on the track giving it an extra dimension. “Beyond Illusion” is most true to the band’s dance/rock sound and Ounsworth’s vocals and the crisp, sharp snyth beats are reminiscent of the debut album. Then next is “Impossible Request”, which is reminiscent of The Cure’s rolling vocals over commanding sharp drums and while sounding spacey and pretty, the song demonstrates how far Clap Your Hands Say Yeah’s sound has shifted. While this album can be slammed for not being true to the band’s sound and might therefore be disappointing to Clap Your Hand Say Yeah fans, ultimately putting that aside, this is a pretty album that has volumes of space, creating an atmospheric effect that’s pleasant and enjoyable. Ounsworth’s identifiable wallowing vocals still exist albeit not as strong, but they are still there which is a pleasant contrast to the dense snyth melodies. Ounsworth’s mistake was not what he has created but instead putting what is essentially a solo project under the banner of Clap Your Hands Say Yeah. Had he named it as a solo project, he may very well get more credit for his talents. Review Score: 7.5 out of 10. Tags: album, albumreview, clapyourhandssayyeah, cyhsy, mattberninger, Music, musicreview, review, thenational. Bookmark the permalink.